Those stick figure family decals are over-rated. And from an episode of Dexter I saw, can potentially lead to your son being kidnapped. Just saying. Show your family's support for the Darkside. 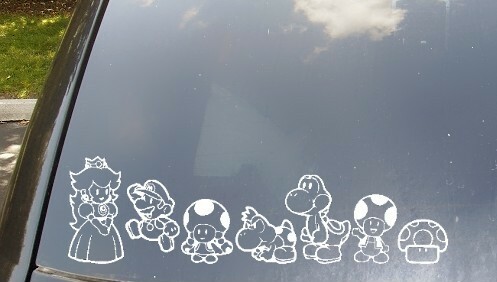 Customize your family with a variety of Mario characters! 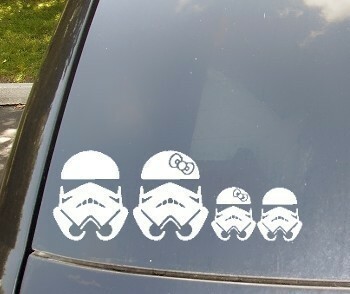 Kelly Kreations on Etsy has a variety of fun (and mostly geeky) decals for families. Prices range from $5 to $10.50.